With a head cold and tons of laundry to do, I tried to take it easy between loads. 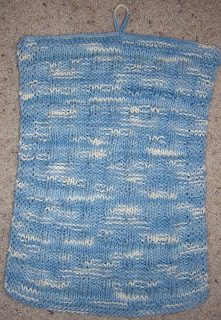 This little towel sort of fell off my needles. Later, with the laundry done, I sat in the sun to appreciate our recent appearance of summer sunshine and finish off the towel. Now, that is what I call a productive but relaxing day! I wanted something reversible that would work as a gift for the kitchen or bathroom with coordinating dishcloths or facecloths. 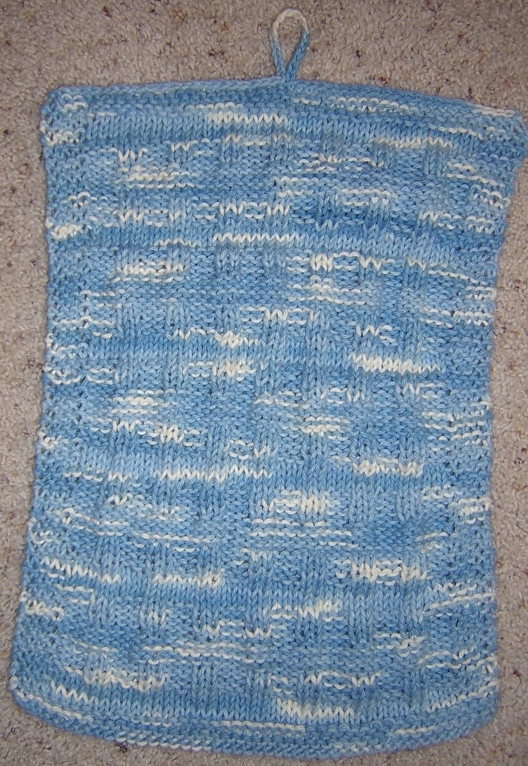 After a false start with another smaller towel freebie, this pattern developed. It seems to have enough texture to be absorbent and is approximately the size of a guest towel (fingertip towel). Thank you so much for this post. I want to let you know that I posted a link to your blog in Creative Busy Bee Craft Inspirations, under the Page 1 post on Aug. 29, 2012. Thanks again.